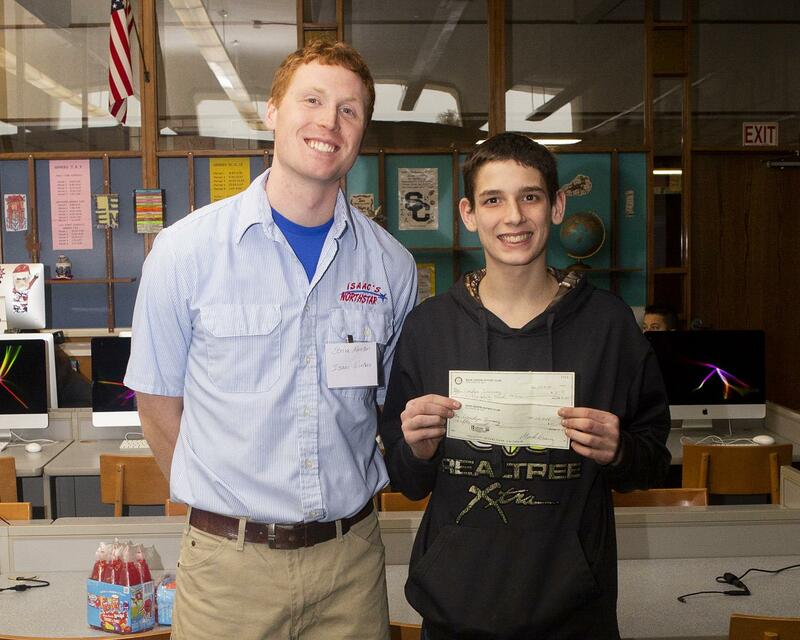 Our first STRIVE student received his check for improving his GPA the most for first quarter. Pictured are Isaac Winters who is our STRIVE program leader for the 2018-2019 SCHS year and recipient Landyn Zimney with his $75 check!! Congrats and we can't wait to see you "Strive" for more this year!